1) (Pitfoddles, co. Aberdeen). Quarterly, 1st and 4th, ar. a chev. az. betw. two mullets in chief and a cross crosslet in base gu. ; 2nd and 3rd, or, a fess chequy az. and ar., for Stewart. 2) (Birnes, co. Aberdeen, 1672). As the last. Crest—A hand issuing from a cloud holding a book expanded ppr. Motto—Virtute et labore. 3) (Colliston, co. Fife). Ar. an eagle displ. (sometimes blazoned with two heads) sa. beaked and membered or, chsrged on the breast with an escutcheon of the last. 4) (London, 1740). As the last, with a crescent in chief for diff. Crest—An eagle volant ppr. Motto—In sublime. 5) (Straloch; the family arms of General Reid, Founder of the Music Chair in Edinburgh University). Quarterly, 1st and 4th, ar. an eagle displ. gu. beaked and armed az., for Reid; 2nd and 3rd, gu. a dagger erect in pale ppr. betw. three wolves’ heads erased ar., for Robertson. Crest—A demi eagle displ. as in the arms. Motto—Fortitudine et labore. 6) (Blegbie, Scotland, 1767). Ar. on a chev. betw. two eagles displ. in cliicf, beaked and membered gu. and a buck’s head erased in base of the last, a cross crosslet fitchée betw. two mullets or. Crest—A dexter arm issuing from a cloud holding a book expanded ppr. Motto—Fortitudine et labore. 7) (Barra, co. Aberdeen, bart,., 1706). Az. a stag’s head erased or. Crest—A pelican in her nest feeding her young ppr. Motto—Nihil amanti durum. 8) (Ewell Grove, co. Surrey, bart., 1823). Per saltire erminois and erm. an eagle displ. sa. Crest—A castle ar. surmounted by two spears saltireways ppr. points upward. Motto—Firm. 9) (England). Ar. a chev. vert betw. three fleurs-de-lis gu. in chief as many torteaux. Crest—A lion pass. tail extended ppr. 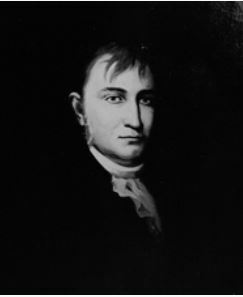 10) (Andrew Reid, Esq., of London, and Lionsdown, co. Hertford). Ar. an eagle displ. sa. on the breast an escutheon of the first, charged with a border engr. gu. Crest—A cubit arm issuing out of the clouds, holding the Holy Bible open at Job xix. all ppr. leaved or. 11) (granted, 1840, to James Reid, Esq., son of Samuel Reid, Ksq., formerly of Newry, co. Down, and to the other descendants of their ancestor, Hugh Reid, who came from Scotland, settled in the North of Ireland, and d. 1708). Per chev. ar. and or, an eagle displ. with two heads ea. in chief two thistles ppr. Crest—An eagle displ. with two heads sa. gorged with an Eastern crown or. Motto—Spectcmur agendo. 12) (Dublin; allowed by Betham, Ulster, 1830, to Robert Reid, Esq., M.D., of Dublin, and Henry Reid, Esq., of Phibbleston, cos. Dublin, son of Rev. James Reid, of Midleton, co. Cork, who was grandson of Andrew Reid, of co. Dumfries, who settled in Ireland). Quarterly, 1st and 4th, ar. an eagle displ. sa. charged on the breast with an escutcheon gu. ; 2nd and 3rd, or, on a saltire az. nine lozengesbof the first. Great—Issuant from a rock a cubit dexter arm holding a bill all ppr. Motto—Firm. 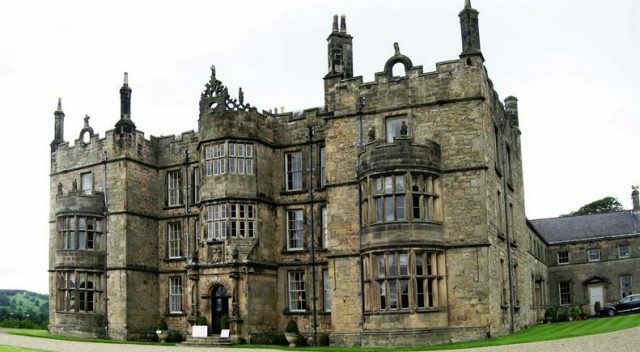 13) (Troughend, co. Northumberland, Prestwick Lodge, Newcastle-upon Tyne, and Chipehase Castle, same co.). Or, on a chev. betw. three garbs gu. as many еагз of corn ar. Crest—A griffin ramp. or. 14) (Sir Edward James Reed, K.C.B.). Ar. two pallets az. betw. two eagles displ. sa. within the pallets a fleur-de-lis of the second betw. two roses gu. barbed and seeded ppr. Crest—A demi man in profile looking to the sinister supporting in his dexter hand a hammer resting on an anvil and holding in the sinister hand an iron ship all ppr. 15) (co. Gloucester). Az. guttée d or, a cross formée fitchee of the last. 16) Per pale gu. and sa. a cross botonnée fitchee ar. betw. four fleurs-de-liz. or. Crest—A fleur-de-lis or. 17) Per pale wavy ar. and sa. three crescents counterchanged. 18) Gu. on a bend or, three shovellers sa. membered of the field. Crest—A hand holding a lance in pale ppr. 19) (co. Kent). Gu. on a bend wavy ar. three shovellers sa. 20) or Reed – (cos. Kent and Worcester). Az. a griffin segreant or. Crest—A garb or, banded gu. 21) (co. Norfolk). Az. a cross botonnee fitchee ar. betw. four fleurs-de-lis or. 22) (Norwich, and Beccles, co. Suffolk; granted by Wriothesley, Garter, 1622). Az. on a bend wavy or, three Cornish choughs ppr. a border engr. ar. charged with torteaux and pellets alternately. Crest—A buck’s head erased az. attired or, betw. two reeds gold, charged on the neck with three bars gemelles also gold, and as many bezants in pale. 23) (Ashmans, co. Suffolk; Robert Rede, Esq., of Ashmans, assumed the surname of Rede, in lieu of his patronymic Cooper, on inheriting the estates of his maternal uncle, Robert Rede, Esq.). Az. on a bend wavy or, three Cornish choughs ppr. a bordure engr. ar. charged with torteaux and hurts alternately. Crest—A buck’s head erased az. attired or, betw. two palm branches gold, charged on the neck with three bars gemelles also gold. Motto—Avi numerantur avorum. 24) (Middle Temple, London). Per pale or and ar. a cross botonnée fitchée betw. four fleurs-de-lis sa. 25) Az. a griffin segreant volant or, supporting an oak branch vert, acorned of the second. 26) Per pale or and az. across botonnée fitchée sa. betw. four fleurs-de-lis counterchanged. 27) or Rythe – Per pale gu. and. sa. a cross botonnée fitchée betw. four fleurs-de-lis or. 29) Gu. a bend fusily erm. 30) Ar. a chev. vert betw. three fleurs-de-lis gu. in chief a torteau. 31) Per pale sa. and gu. guttée d’or, a cross moline fitchée of the last. 32) Az. three fermails or. 34) Az. three fusils in fess or. This Saxon surname originates in the nickname “the red”, which was a sobriquet given to one who has a ruddy face or a red complexion or red hair. It derives from the Middle English word reed or rede (red). The surname Reid is the Scottish or North English spelling version. Another author claims it comes from the word rede, meaning advice, help, and counsel, or from the fenny plant which has reeds. Yet another author claims it a locational name deriving from a place in Suffolk. Yet another source claims it’s a topographic name given to someone who lived in a clear, from the Old English word meaning “woodland clearing”. One source also believes it derives from the word roegheaford, meaning someone who lived in land populated by deer. Others even claim it relates to the Red Sea. As of 2014, it was the 90th most popular surname in the United Kingdom. Some family members originate from the County of Northumerland, where the valley of Redesdale was intersected by the Rive Rede. Other spellings include Read, Reed, Rede, Reeds, Redd, Reade, and several others. The foreign equivalents include Ried (German) and Riede (Dutch). A Gilbert le Rede of Coul, Scotland was recorded in 1296 AD. The Pipe Rolls of Gloucestershire list William Red in 1776 AD. Ralph Rede is listed in the Curia Regis rolls of Hertfordshire in 1203 AD. The Hundred Rolls of 1273 AD, a census of Wales and England, known in Latin as Rotuli Hundredorum, documents Godwin le Rede in county Norfolk and Roger le Rede in county Hereford. The Testa de Neville, sive Liber Feodurum, records Robert le Rede in county Surrey. The Fines Roll records Martin le Rede, William Red in county Somerset in Kirby’s Quest, and Robert le Rede in county Somerset. Early marriages involving this surname include Denys Reade to George Warde to St. Micahel in Cornhill in 1568 and Edward Reed to Elizabeth Mellon at St. George’s Hanover Square in 1788. A one Richard Read was recorded in county Bedford in 1592 in the Register of University Oxford. The famous genealogist Bernard Burke mentions two lines of this family in his book “Peerage and Baronetage”: Reid of Ellon and Reid of Springburn. 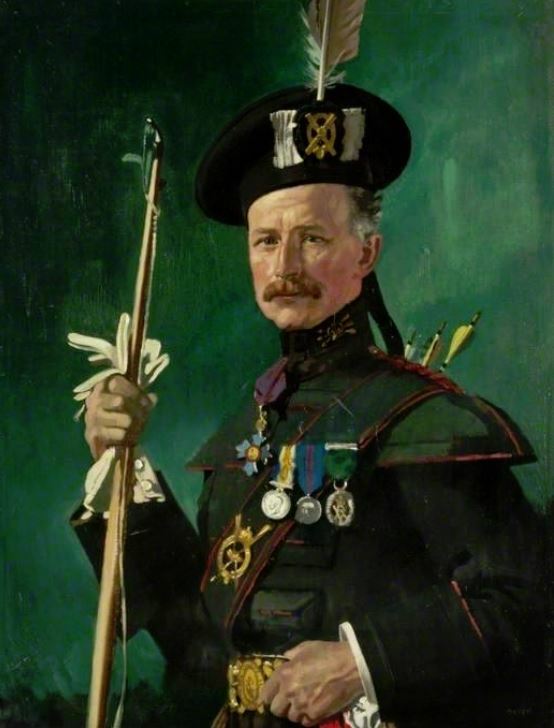 As to the first line, the discussion starts with Sir Edward James Reid, the 2nd Baronet, of Ellon in county Aberdeen who was born in 1901, succeeded in 1923, and married Tatiana Fenoult in 1930, having two children with her: Alexander James (1932) and Susan Isobel (1930). Burke traces the lineage back to John Reid (1720-1775) of Fortrie in Aberdeen, who married Elizabeth Mitchell of Laiothers. His son was Peter Reid of Muirton. He was born in 1768 and married Ann Lumsden of Belhelvie and with her had a daughter and a son. The son’s name was James, born in 1792, who in 1813 married Jessie Gray of Fintray, and before dying in 1862, left six sons and four daughters. The second son was James Reid, of Ellon, born in 1818 who married Beatrice Peter, and before dying in 1883, had the following issue with her: Sir James, the 1st Baronet, and John Peter, of Yokohama Japan. 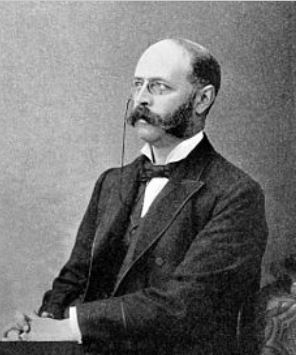 Sir James Reid, the 1st Baronet, born in October of 1849, was a physician in Ordinary to Queen Victoria in 1889 and was created a Baronet in August of 1897. He married Susan Baring, a maid of the queen, and with her had four children: Edward James (previously discussed) John Peter Lorne, Margaret Cecilia (1937), and Victoria Susan Beatrice. 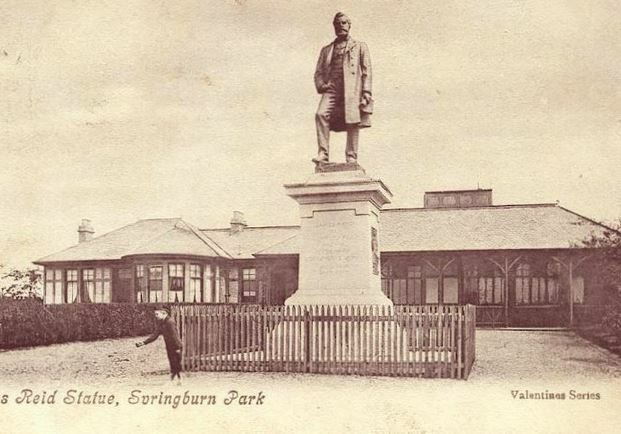 As to the second Branch, Reid of Springburn, Burke traces the lineage back to James Reid of Sanquhar in county Dumfries who was born in 1757 and married Susanna Brown in 1793. 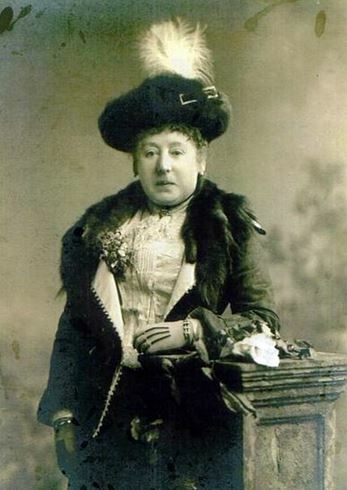 They had several children, one named William Reid, of Kilmaurs who was born in 1800, and married Mary, the third daughter of Hugh Miller, in 182. William’s eldest son was named James Reid, who was from Auchterarder in count Perth, born in 1823. 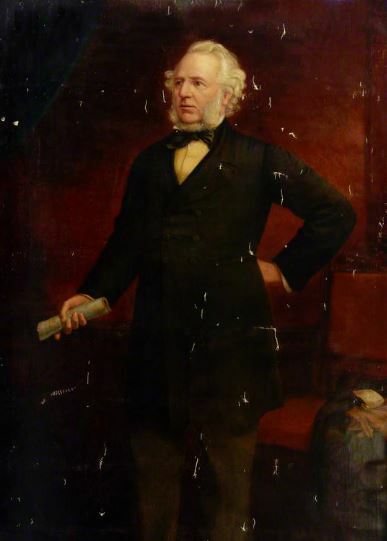 He was the President of the Royal Institute of Fine Arms in Glasgow, and he married Margaret Ann Scott and had children with her: William Scott (1852), James (1858), Sir Hugh (created a Baronet), Sir John (1861), Andrew Thompson (1863, who became a Lieutenant Colonel), Walter Montogomerie Neilson (1865), William (1867), Edward Thomas Scott (1871), and Elizabeth (1856). 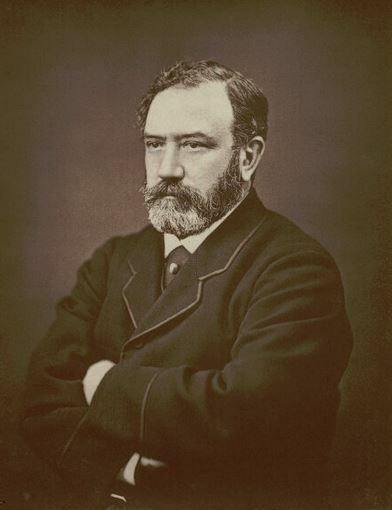 The third son was Sir Hugh Reid, the 1st Baronet, who married Marion Maclune in 1888 and has issue with her: Captain James, Douglas Neilson (the 2nd baronet), and George Hugh Neilson. 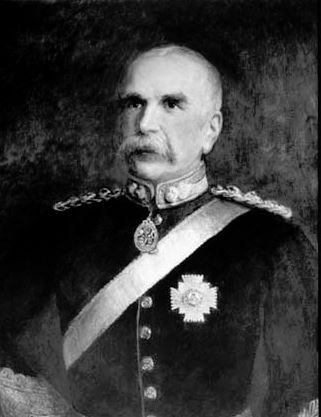 Sir Hugh, who died in 1935, was succeeded by his son Sir Douglas Neilson Reid, of Springburn in county Glasgow who was a member of the Royal Company of Arches, and who served in both World Wars. He married Margaret Brighton Young in 1926 and had two issue with her: Hugh (1933) and Joan Murray (1929). The branch known as Reed of Crag is discussed in Bernard Burke’s “The Landed Gentry”. It begins with mentioning Charles John Reed, Esq. 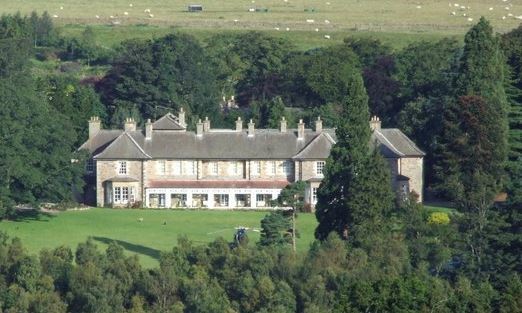 of Crag and Newbiggen House in Northumberland, a Lieutenant Colonel in the Northumberland Artiller Militia, who was born in 1820 and in 1845 married Margaret, the eldest daughter of George Heppel Ramsay of Derwent Villa and had the following children with her: Charles Archibald Percival (1851, became Lietenant of the Northumberland Hussars), Barras Ramsay (1858), Alfred Stephen (1860), Mary Isabella, Constance Diana (1863), Caroline Ages, Florence (1855), Alice Helena, Mabel, and Victoria Margaret. Burke states “The Reeds of Crag are descended from the elder branch of the Reeds of Troughend, who state they hold grants from the Crown prior to the Conquest.” Reeds appear in Redesdale are found in the Muster Roll for Noethumberland during the reign of the King Henry VIII. Thomas Reed of Crag Aydon and White House succeed Ralph Reed. 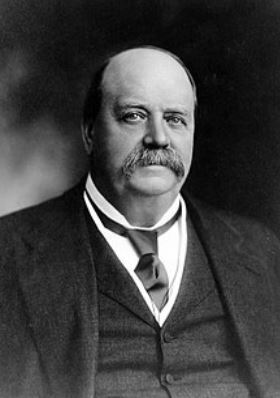 With his wife Mary Cooke had one son: Thomas Reed. Thomas, who took part in the Rebellion of 1715, married Elizabeth Atkinson and had the following issue with her: John, Joseph, Margaret, and Dorothy. 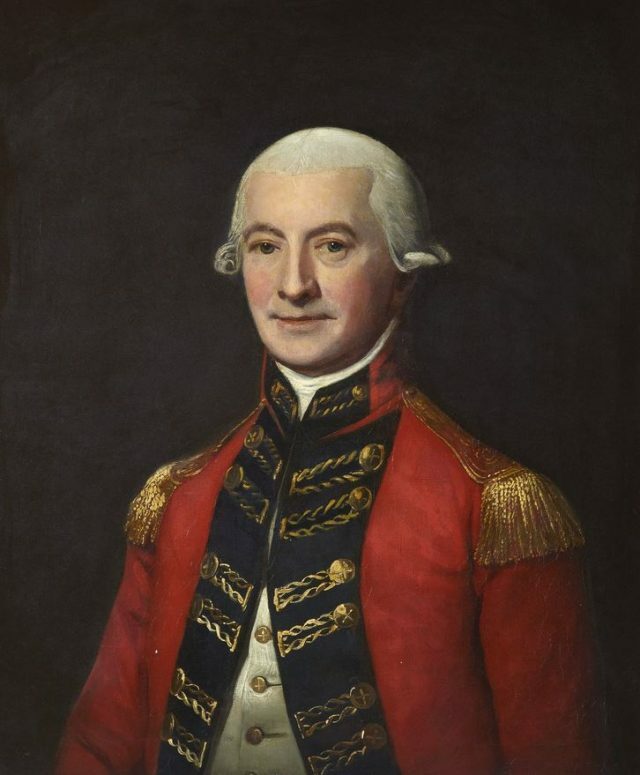 The eldest son was John Reed, of Crag and Acklington Park, who married Diana Watson in 1779 and had several children with her: Thomas (1771), William (1774, who was a Lieutenant of the 23rd Fusiliers), John (1776), Edward (1778), Ralph Thomas (1779), Stephen, Joseph (1786), Isabella (1774), Elizabeth, and Diana. He died in 1829 and he estates went to his youngest son, Stephen Reed. 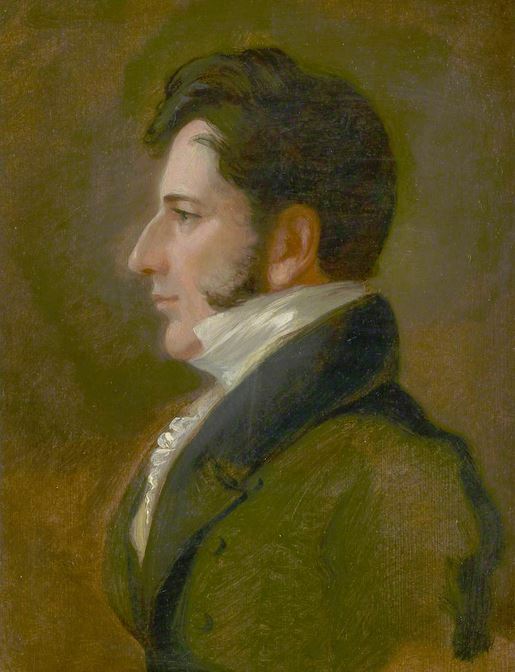 Stephen married Isabella Barras in 1819 and had three children with her: Charles John (his heir), George Barras (1821), and Anna Mary Isabella (1850). He passed away in 1865 and was succeed by Charles Down, mentioned at the beginning of this paragraph. Burke’s “The Landed Gentry” also discusses a branch known as Reade of Wood Parks. 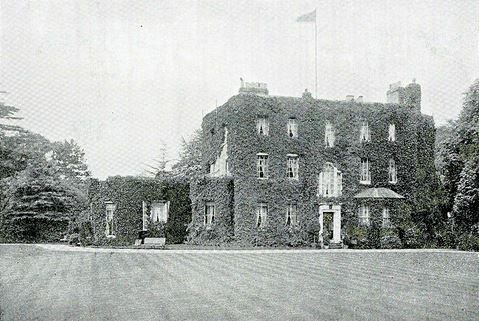 It begins with a discussion of Philip Reade of Woods Park in counties Galway and Clare, who was born in 1793 and married Grace Rutherford in 1829 leaving the following issue: Philip William Villiers (born 1839), Sarah Rosanna, and Jane Peacock Maria. The lineage traces back to Philip Reade of Wood Town in county Westmeath (the eldest son of Reverend Philip Read) who married Mary Palmer in 1695 AD. Their eldest son and heir was Reverend Philip Reade (1699), who married Margaret Fethersonhaugh in 1748 and had issue with her: John, Barrister-at Law, who married Martha Frances in 1787. A one James Read left the port of London for Virginia in February of 1634 aboard the Hopewell. William Read came to Island of Providence (modern day Colombia) in 1635 aboard the Expectaction. Steeven Read came to Virginia aboard the America in June of 1635.Several Reads (William, Mabell, Ralph, Justice, and George) came to New England in July of 1635. A one Anthony Read was recorded as living in Virginia (at Warwick Squake) in February 1623. Others include James Read (Virginia 1607), Gabriell Read (1635), Elizabeth Read (Maryland 1674), Christian James Read (Georgia 1738), and Anna Lydia and Hans Jacon (Pennsylvania 1733). 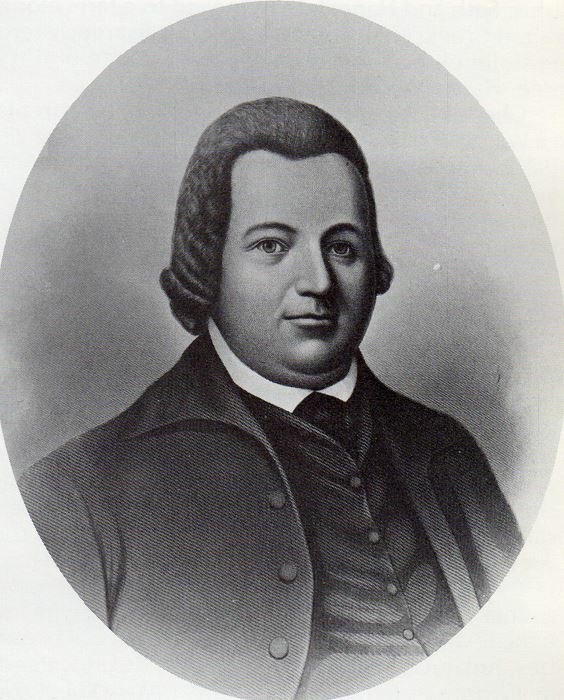 In the United States, Reed was adopted by some Pennsylvania Dutch/German) families in the 1700s, notably that of John Reed (Johannes Reith), a former Hessian soldier from Raboldshausen, Germany, who fought in the American Revolution. Marmaduke Read came to St. Christopher aboard the Mathew in 1635. Elizabeth Reed of Exon “a Spinster ages 19 Years or thereabout”, was recorded as being bound for St. Christopher in 1634, who swore allegiance to Major William Gourney of Dartmouth. Stephen Reede, aged 17 years, came in 1618 aboard the George as a servant. A one Lawrance Reed, with his wife, was recorded in the Parish register of St. Michael’s of Barbados in 1680. Samuel Reid was born in May f 1862 in North Caroline. He married Sarah Roberts Hinkle in 1884 and had numerous issue with her: Fred, Edgar, Wales Lee, Claud Freeman, Isa, S. Lawrence, Clinton, Eddie, and Clarence Leroy. His son Fred was born in 1885 in South Carolina and died in 1900. The Reid/Reed family has several mottoes: 1) Firm, 2) pro virtute, meaning “for virtue”, 3) nihil amanti durum, meaning “nothing difficulty to one who loves”, 4) fortitude et labore, meaning “by fortitude and exertion”, 5) in Deo ominia, meaning “In God are all things”, 6) in sublime, meaning “upwards”, 7) memor et fidelis, meaning “mindful and faithful”, and 8) semper eadem, meaning “Always the same”. Grantees of arms include: 1) Reid to Baillie , of Jamaica,  Caldecot, M.D., Caldecot formerly wife of, , 2) Ewell, of Graystone Park, co. Dumfries, Scotland,  3) to Fenwick, of co. Lauc, , 4) Reid-Coddon, Rev. J. E., M.A., of Ashow Rectory, co. Warw., 1894, 5) Rede, late Cooper, Robert, of co. Norf., and Ashman’s, co. Suff., , 6) William (s. of Sylvester, of York), 18, 7) of Trevales in acounty Cornwall [1787), 8) Aiskell, wife of, of Cromer Hall, co. Norf. Arms to wife and descendants, , 9) wife of Cresswell Baker. Arms for Reed quarterly with Baker, , 10) to Verelst, Charles, of Aston, co. York, and Green Hayes, Claughton, co. Chester, [1851? ], 11) Sir E. J., J.P., of London ; Hextable, co. Kent ; and Wales, 1881,and 12) William, of 77, Onslow Gardens, London ; Brighton ; and The Warren, Lower Beeding, co. Sussex, 1896. 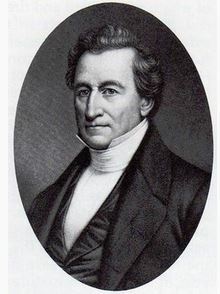 Famous people bearing this surname include: 1) Thomas Reid (1710-1796) who was a Scottish philosopher and a contemporary of David Hume, 2) Forrest Reid (1875-1947) and Irish author, 3) Robert Reed (1350-1415) who was a bishop from England and Ireland, 4) and Thomas Buck Reed (1787-1829) who was a United States Senator from the state of Mississippi. Te Kuiti.Maniapoto NZ.Ripeka Te Huetu Whakaara.Very interested in researching James Reid Genealogy.